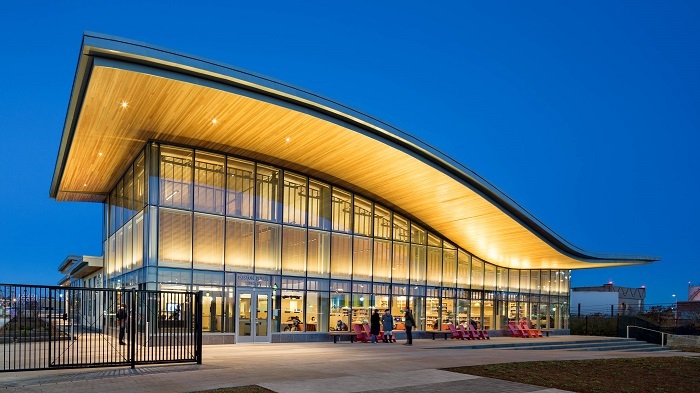 03.17.15 The Boston Public Library - East Boston Branch is featured in Architectural Record. The single-room branch, designed by William Rawn Associates,was conceived as a meeting place for the neighborhood; the library extends past its glass walls to a reading porch, blending the lines between the interior reading room and the 18-acre park which serves as a natural complement. Check out LeMessurier's East Boston Public Library project page!